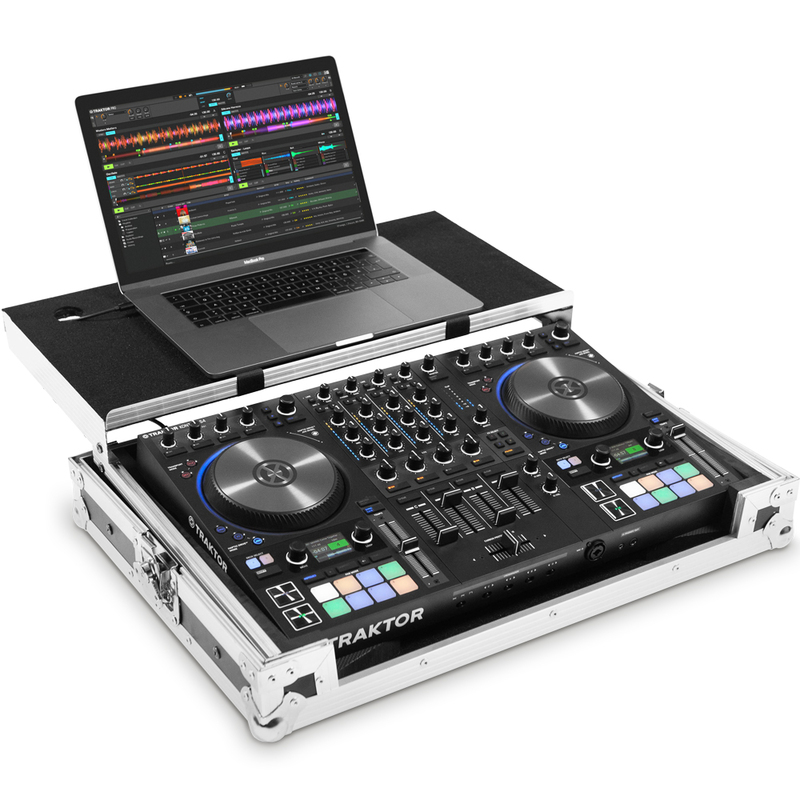 TRAKTOR KONTROL S4 MK3 introduces a world-first with Haptic Drive™ – high-torque, motorized jog wheels that provide performers with haptic feedback in three modes: Jog Mode, Turntable Mode, and Beatgrid Adjust Mode. DJs can now feel cue points and loops when scrolling through tracks, and enable Turntable Mode for natural-feeling beatmatching while nudging and stalling the jog wheels. 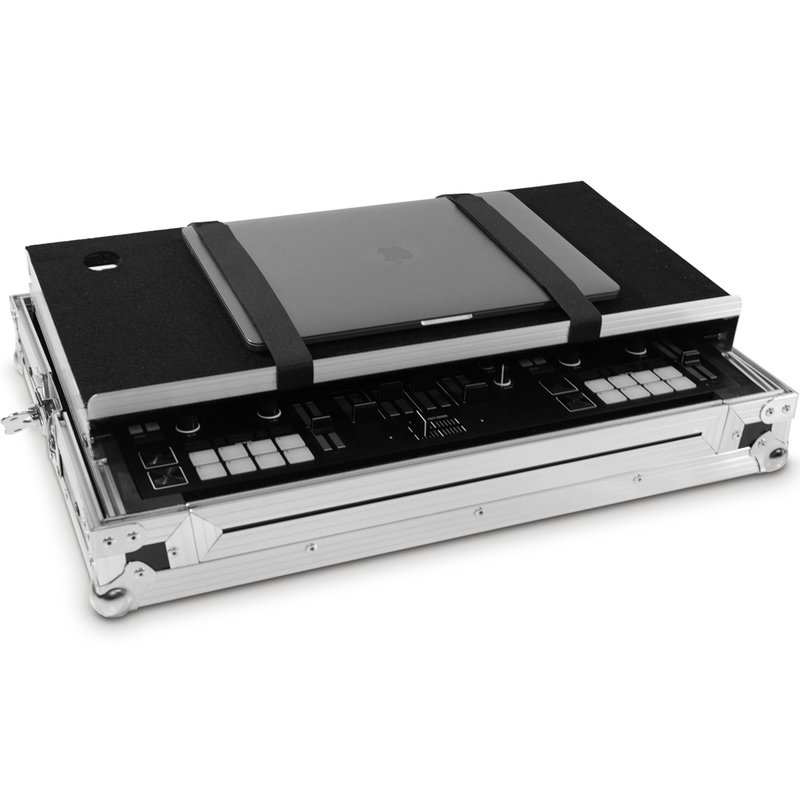 Interfacing software and hardware within Haptic Drive™ technology means that its functionality can be expanded, and will grow over the course of future updates, giving DJs even more ways to interact with their music. The S4 places vital performance information on the hardware itself, keeping everything DJs need to know front and center in the booth. 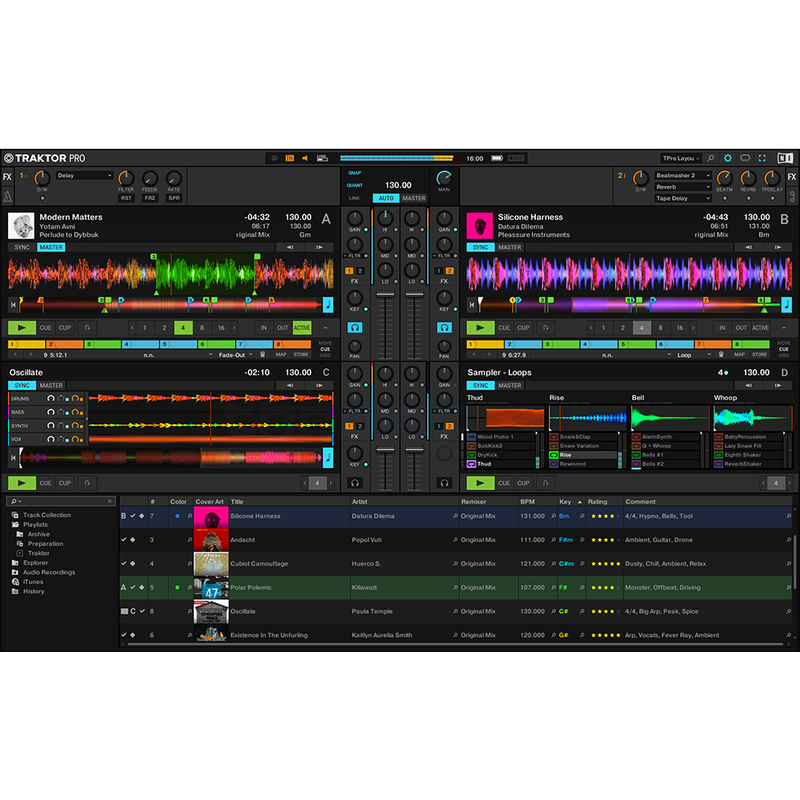 High-resolution displays on each deck display a waveform strip, track title, loop length and activation, key, and BPM, as well as Stem and Remix Deck components when performing with Stems and samples. Further visual feedback is provided by RGB light rings surrounding each jog wheel, which visualize deck selection, tempo, and track-end warnings. An integrated, pro-grade audio interface with inputs on each channel provides support for DJs using timecode vinyl, as well as room for expansion for hybrid DJs who want to incorporate drum machines and synths into their set. 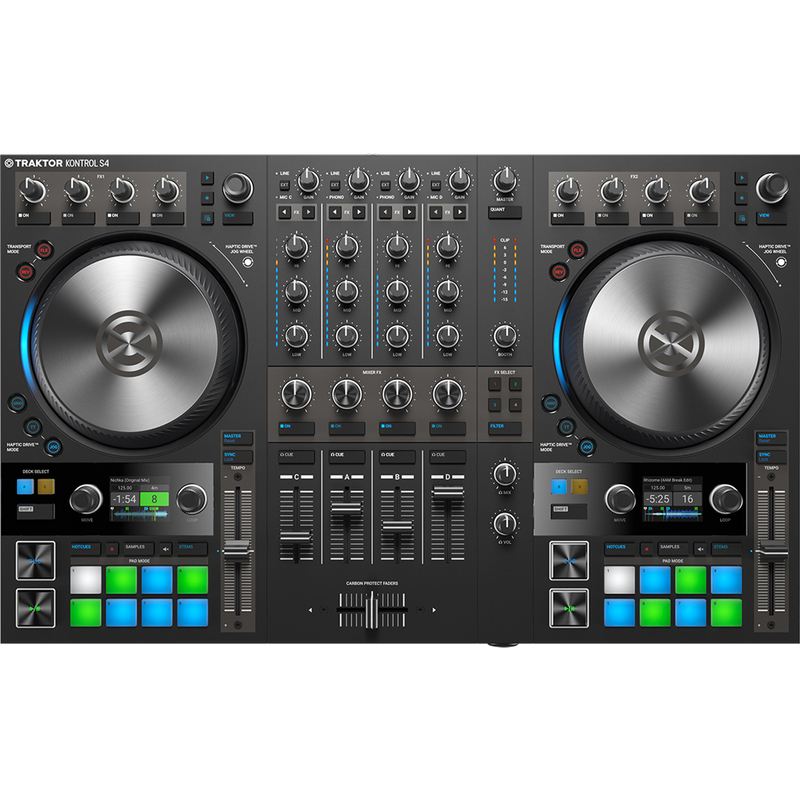 Built for the demands of the club, the TRAKTOR KONTROL S4 features rugged industrial design with all-new Carbon Protect faders – inverted carbon strips that better protect against dust and other substances. It also comes with multiple microphone inputs, as well as a much-requested stereo booth output. 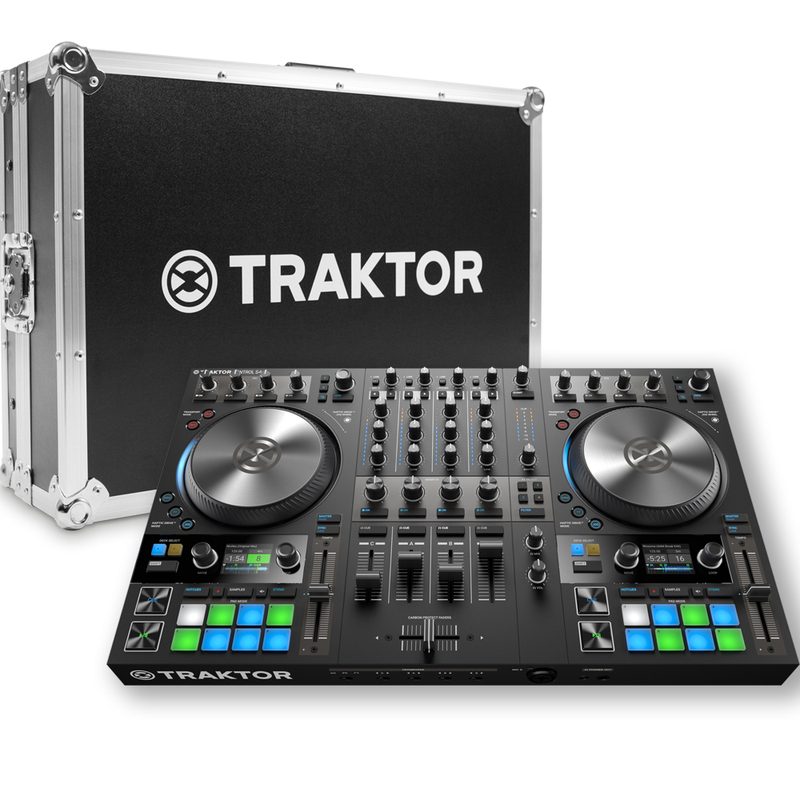 TRAKTOR PRO 3, the full version of which is included, is the most stable version of the software yet, and uses the new Elastique 3 time-stretching engine for noticeable audio improvements. The user interface has been redesigned with a sharper and flatter look for better readability in club environments, while the intuitive workflow, to which many performers have become accustomed, remains intact. 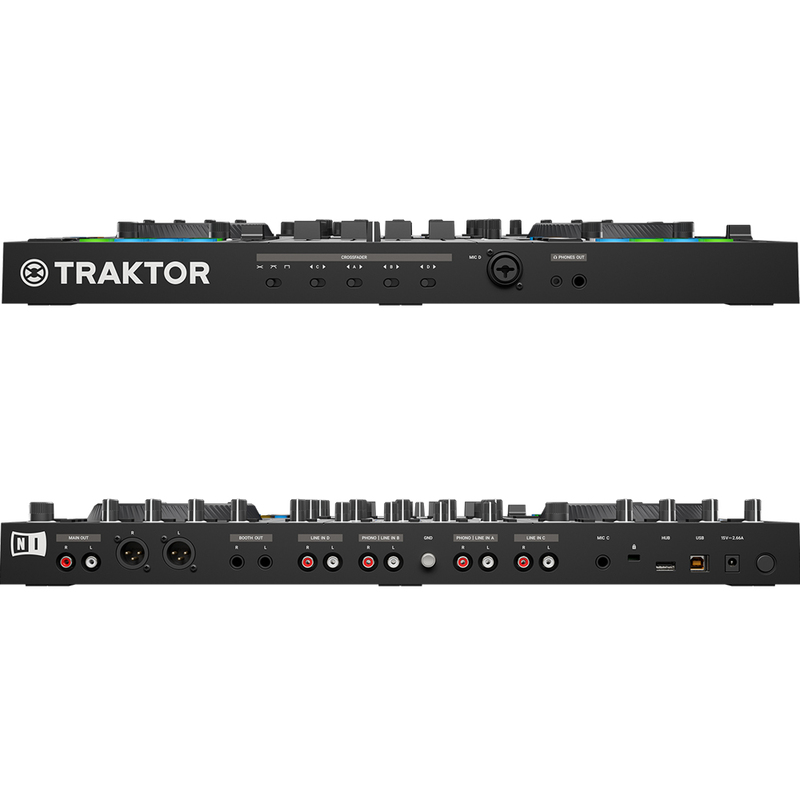 Several brand-new features have also been added: TRAKTOR PRO 3 now includes Mixer FX – one-knob effect and filter controls that can be assigned to each channel independently and used for big buildups and transitions. 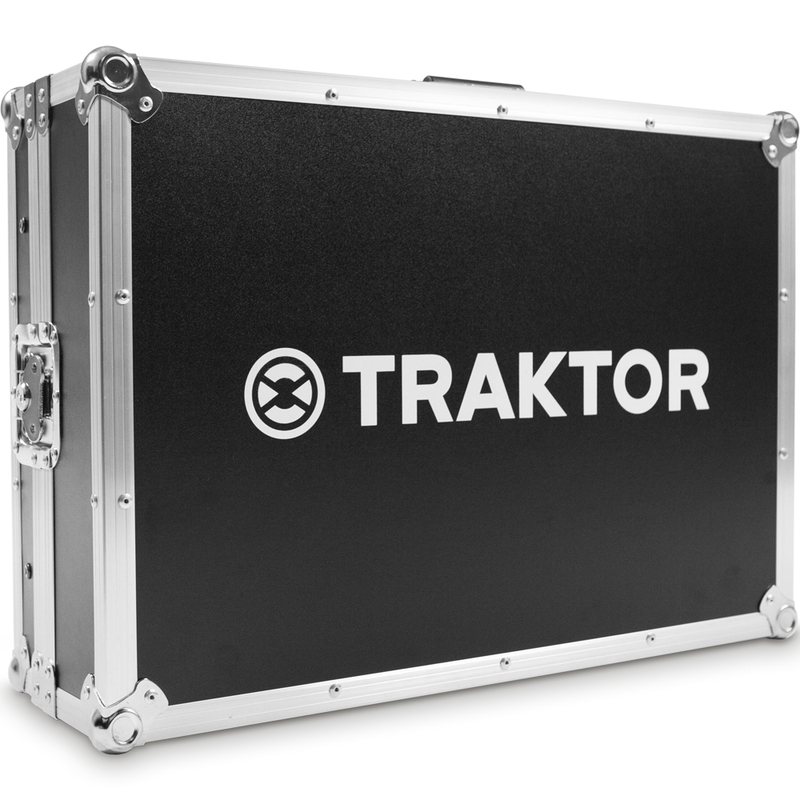 And DJs using an external mixer can now route unprocessed audio directly from TRAKTOR, thanks to a new mode that bypasses the software’s internal mixer.